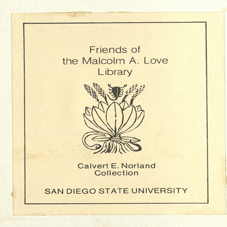 Interested in resources on the natural history of color in the SDSU library? You might enjoy the hand-colored prints of Benjamin Waterhouse Hawkins' (1807-1894). 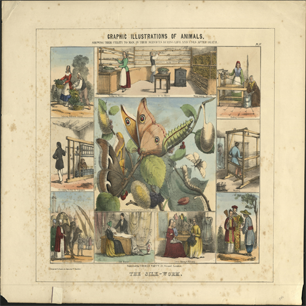 His lush prints from The Graphic Illustration of Animals Shewing their utility to men in their employments during life and uses after death published by Thomas Varty include "The Cochineal & Lac Insects" c. 1850 and Hawkins' "The Silk-Worm" c. 1868. These show people using cochineal insects to make red carmine dye, using lac insects to make lac resin and varnish, and growing and using silkworms and plants to make and dye silk. 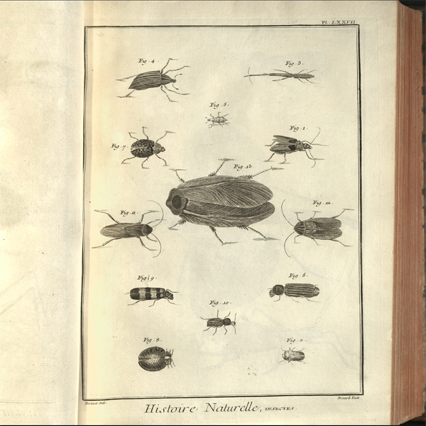 These works are part of an illustrated scientific materials collection, the Calvert E. Norland Collection of Natural History Materials Norland, an entomologist donated over 2,700 illustrated volumes, manuscripts, hand-colored and other prints. 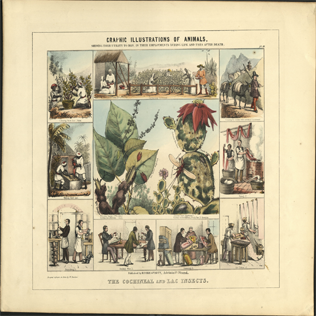 These include Audubon's Quadrupeds of North America, Thomas Bewick's Birds: Watercoulours and Engravings, as well as works about the history of orchids, ornithology, and entomology. 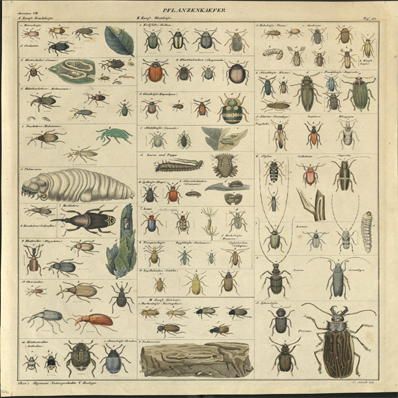 In the tradition of scientific materials illustration Norland's collection includes whole sheets of hand-colored figures of beetles and insects. And so, this collection documents how we make color from insects so we can make insects from color. 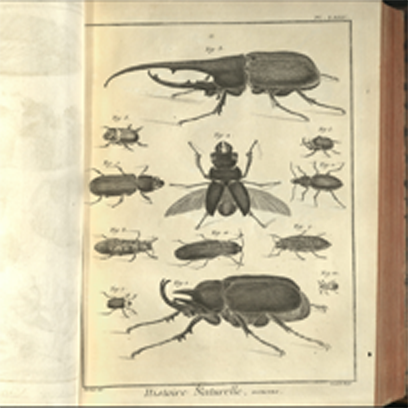 As a study of bug illustration over one century (1750-1850), compare hand-colored beetle and insect illustrations to the black and white varied insect illustrations published in the classic Volume VI. of L'Encyclopedie de Diderot et D/Alembert (1759) and pictured below. 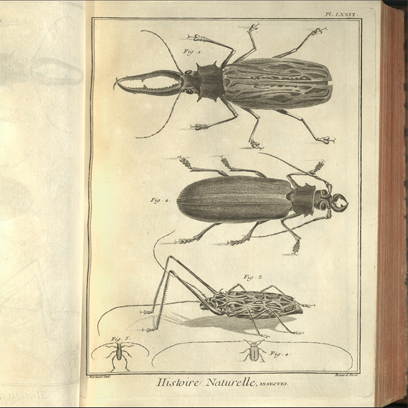 Access SDSU illustrated scientific materials and insects in the Norland Collection and in Diderot's Encyclopedia by searching Special Collections Finding Aid for Norland or stop by special collections and ask to see Diderot's Encyclopedia.